Mackerel in oil is a packaging style for canned fish product that you always see and maybe buy at grocery stores. They are available widely from mackerel in sunflower oil, extra virgin olive oil, vegetable oil, soybean oil, and many more. Compared with mackerel in water or brine, mackerel in oils offer more fantastic taste and texture. 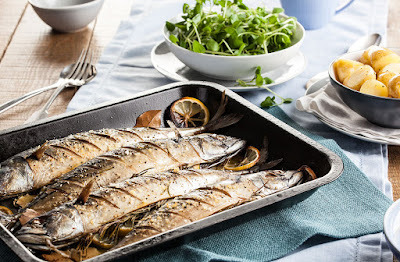 They are great to be cooked into several dishes and if you want to try mackerel recipes then today we are glad to share some of the recipe which you can try at home using canned mackerel in oil product. The recipe is very easy and simple, you do not need to spend much time prepare and cook it. 1. Add and mix all the ingredients: a can of mackerel with the juice, egg, and cornmeal. You can add rosemary and onion as optional ingredients. Mix them all using plastic or wooden spoon with little amount of water. 2. 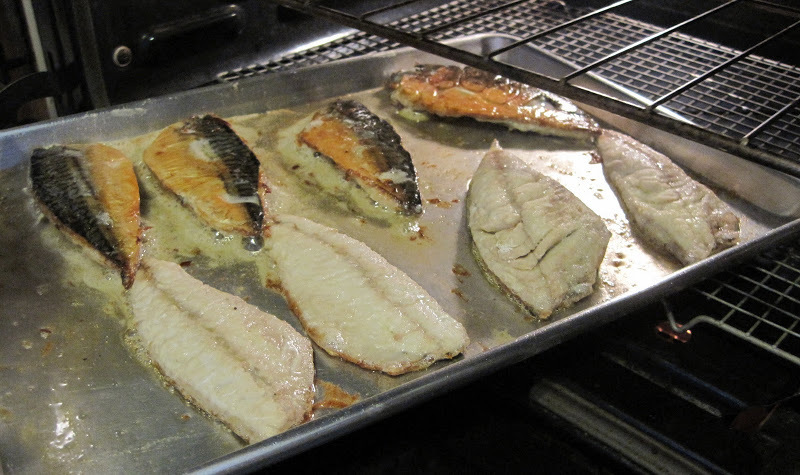 Next you need to make a batter for the mackerel fish patties by spoon the mixture on the baking sheet. You need to make it thick like a biscuit and flatten in with the back of the spoon. To prevent the mixture stick to the spoon, you can dip it in warm water first. 3. Pre-heat the oven and then bake the mixture until it turns golden brown. When done, remove the baking sheet from the oven and let it cool for awhile. 4. Now you can enjoy the baked mackerel in oil recipe with some mustard. 1. Drain the mackerel oil off and remove the skin plus the large bones. 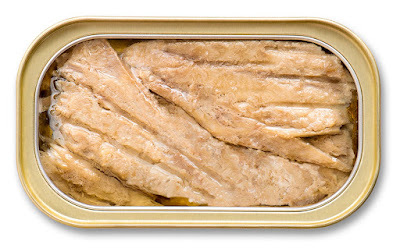 You can crush the bones as well if you do not have much time for that or simply just buy boneless and skinless canned mackerel in oil product. 2. Drain off the salsa as well and mix it with the mackerel in a bowl. Add egg and then mix with wooden spoon or simply by hand. 3. Add seasonings such as pepper and salt or other ingredients according to your taste. You can also use cumin, garlic powder, and onion powder. However, if the salsa is already had spicy flavor just let it stay like that without need to add other seasonings. 4. Add the cracker crumbs or bread crumbs and mix them all until ready to make patties. 5. Pre-heat oil on the frying pan and you can start to fry the mixture until it turns crispy on the outside. 6. If you prefer to bake the mixture, then pre-heat the oven and set it to 400 degrees Fahrenheit. Bake the mackerel about 20 minutes. 7. 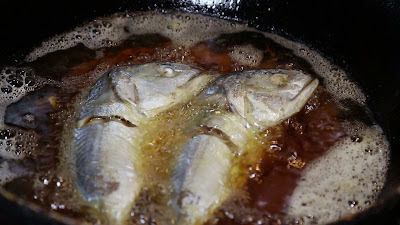 When you are done remove the mackerel mixture from the frying pan or the oven. Serve the fish with sour cream or the salsa as well. If you want lower calories food then it is better to bake the mixture and serve it with sour cream. You can use mackerel as substitute in many recipes especially if the recipe using salmon or tuna. You can do some experiment with your own recipe and we are glad if you want to share your favorite mackerel in oil recipes to use. Having mackerel is a perfect dish when you do not have much time to prepare the meals.